Meet some of the staff. People are what makes a business a success and we are pleased to employ some of the finest people in the industry. All our staff are committed to making your experience of working with us as beneficial as possible. Click on the tabs below to read a little more about who people are and what they do. To view the CVs of the Cope Safety Management team, please click here. Hi I’m Scott, I have been with Cope Safety Management since 1999, and became a Director in 2006. I am a Chartered Member of the Institution of Occupational Safety and Health and a Fellow of the Royal Society for Public Health, so it is no surprise my interest is in finding ways to prevent or control how your work affects your safety, health and well-being. I spend much of my time helping to run and market our business, but also ensure I am on hand to provide advice, guidance and support to our team as well as our clients. I began my career as an Environmental Health Technician in the RAF, where I also met my partner. For a hobby I enjoy walking and taking photographs of aircraft, landscapes or my kids. It is much easier to photograph the first two, the kids are never still for long enough. My favourite car is my 1969 Triumph GT6 Mk1. She still has her looks and I cannot help but smile when revving that straight 6. My favourite animal is our cat, Pheobe. She has each of us in the house perfectly trained to suit her needs. My favourite holiday destination is Cyprus for its gorgeous weather, sun kissed beaches, interesting history, friendly people, sheftalia and KEO. What more do you need? My most embarrassing moment was waking up and remembering I had chosen our wedding reception to perform the Full Monty. Thankfully, for all concerned, this was long before smartphones. When I was at school I wanted to be a fast jet pilot (I still do!). Sadly, it was never meant to be. Health and safety was the next best thing. 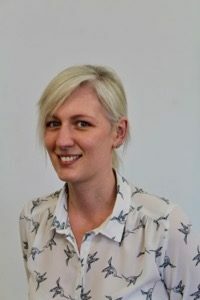 Hi, I’m Emma, I joined Cope Safety Management in 2011 as an Administrator. 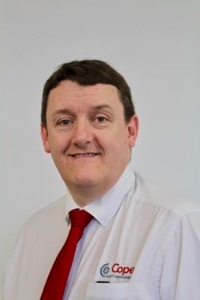 I was given the opportunity to move to the accounts team and became a Director in 2014. I enjoy most watersports, I have grown up with jet skis and wakeboarding, my husband has now started to have a particular interest in surfboarding, so all my holidays are booked around this. I have a lovely little girl who keeps me on my toes, especially in the morning when I am trying to get to work, I am often the laugh of the office when I discover her breakfast on my shoulder or toothpaste on the bottom of my skirt! My favourite animal is an elephant, but according to my partner these do not make good pets, so I have settled for a cat. My favourite holiday destination is Cornwall, we go every year. I would love to go the Caribbean, but it will be a long time before I want to take my daughter on a long flight. My favourite car is our VW T5. My partner converted it into a camper so we enjoy just going away for the weekend or taking it on amazing adventures to places like Lake Garda, Italy. 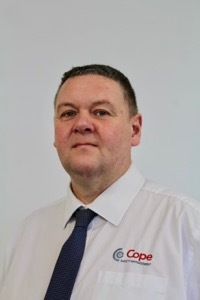 Hi I’m Richard, I joined Cope Safety Management in 2014 having spent 24 years in the RAF as an Environmental Health Technician. I travelled the world, providing advice on subjects ranging from pest control to Occupational Health, and all subjects in between. I have over the years specialised in Occupational Hygiene most notably the monitoring of dusts, chemicals, noise and inspecting/testing local exhaust ventilation. I have an Environmental Health Degree and am fully qualified as an Occupational Hygienist. I spent two years working with a Local Authority as an Enforcement Officer, something I enjoyed! For a hobby I enjoy getting frustrated on a golf course or shouting at 11 players in red and white football strips (Sunderland AFC) getting frustrated. When I was at school I wanted to be a fighter pilot, sadly I’m as blind as a bat. My favourite car is anything that works. My history of purchasing cars has been very poor! 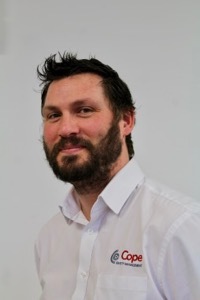 Hi I’m Mat, I joined Cope Safety Management Limited in March 2015 as a health and safety consultant. Shortly after joining Cope Safety the opportunity to deliver First Aid training presented itself and as it is an area I have always been interested in I was delighted accept the challenge. Outside of work I enjoy playing golf, playing with motorcycles and spending time with my family. For a hobby I enjoy playing golf, collecting Star Wars Lego, Supporting the San Francisco 4ers. My favourite car is not a car it would be a motorcycle, a 1942 Harley Davidson Knuckle Head or something BSA, Sunbeam etc. My most embarrassing moment is… there are too many to choose from, not many which are repeatable! When I was at school I wanted to be an adult (might get there one day). 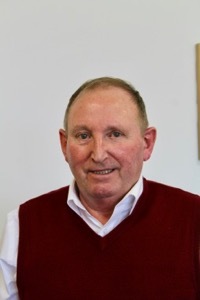 Hi I’m Dave, I joined Cope Safety Management as a Construction Safety Advisor in 2013 after 3 years of retirement. I felt I needed a challenge, was still passionate about health and safety after a long and distinguished career, and had a lot to offer. When I was at school I wanted to be a grown up and a sailor, but my Mum said ‘Son, you can’t do both’. I’ve done the sailor bit, now I’m working on growing up! For a hobby I enjoy travelling with my caravan, fishing and gardening. My favourite holiday destination is Crete or any where in Greece. Hi I’m Cathy, I joined Cope Safety Management in November 2016 as an Employment Advisor. 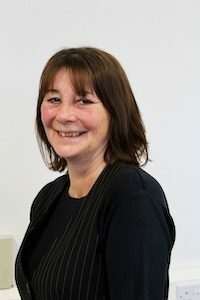 I began my career in Human Resources in 2003 and have since gained valuable experience in both the Public and Private Sectors dealing with everything from inducting new employees, absence management and disciplinary proceedings through to business restructuring, TUPE situations and even creating training for new legislation to ensure my clients and their Managers are fully briefed. Sharing my knowledge and experience with others, in particular, provides me with a good sense of achievement. I have a passion for exploring and trying new things. I have been to America looking for grizzly bears and bison, I have sky dived, swung on a pendulum and swum with dolphins. Next on my bucket list is to swim with Manatees or Whale Sharks and visit a volcano. My favourite car is a Lotus Elise. My favourite animal is a Hippo, although as I am unable to keep those I have settled for two very funny ferrets! When I went to school I wanted to be a Nurse or a Stunt Artist. My favourite holiday destination would have to be exploring the USA. 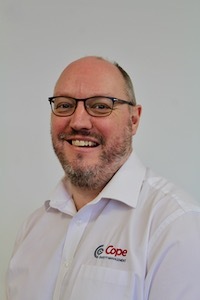 Hi I’m Wolete, I joined Cope Safety Management in January 2018 as a Construction Safety Advisor. I have over 10 years construction site management experience, during which I obtained a good reputation from my colleagues for running a “tight ship”, ultimately giving me the opportunity to change my career. I have GradIOSH membership, the NEBOSH Certificate in Construction and enjoy providing panoramic advice about construction safety. For a hobby I enjoy going to the gym for a good workout. I set myself weight targets, every year, albeit the same one. One day I’ll achieve my goal! My favourite animal is my cat Sylvester. Sylvester manages my home, by day he’s a hunter and by night a warm loving ball of fur. My favourite car is any car with a satnav is good, as I have a shocking sense of direction! I joined the health and safety team in May 2016. Previously I have had several years’ experience in the tourism and leisure industry. For a hobby I enjoy keeping sheep. I’ll happily spend hours at the field trying to round them up when I need to move them or give them a check over. My favourite holiday destination is the Peak District, sleeping under canvas and waking up wet and cold. My favourite cars are the Audi Quattro A1 / A2 / S1; having spent many hours at all times of day in night stood in forests and on moors waiting for one to flash past at speed. My favourite animal is a cow, particularly when they have been roasted and smothered with horseradish sauce. 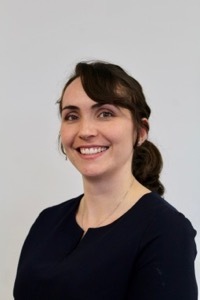 Hi, I’m Steph, I joined the Cope team in September 2018, with a background of health and safety in food manufacturing and production, and in fire safety. 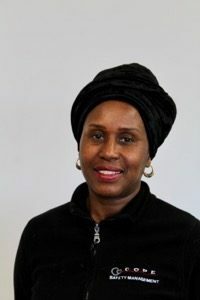 Having worked in a variety of fields, including schools and youth services, retail and warehousing, management and manufacturing, I have experienced implementation of health and safety and workplace procedures in a range of settings. I have a passion for knowledge and am always keen to learn or see something new that I can share with others. I am thoroughly enjoying a job that takes me all around (and outside of) Lincolnshire to so many different and varying places and environments. For a hobby I enjoy rollerblading around the town with my boys and counting who falls over the most, I’m glad to say that I have yet to top the count on that one! My favourite car is our old, banged up 7-seater Ford Galaxy (because 5 seats just aren’t enough with my 3 kids – often due to the fact that Peppa Pig needs her own seat), as when we all pile in there it means we’re off on an adventure, be it just for a day out at Warwick Castle or 2 weeks away on a family holiday. My favourite animal is a unicorn, but this may be due to over-exposure as my little girl has decided she wants to be a vet so she can look after them (I don’t have the heart to tell her) and there seems to be a unicorn plush toy, sticker or game character everywhere I look these days. My favourite holiday destination has to be the Orkney Islands at Christmas. Even though getting there means 2 days in the car travelling with my husband and kids, keeping our fingers crossed the ferry is running when we get there, there is nothing better than waking up to heavy snowfall across the open fields on Christmas morning and staying up late hoping to see the Northern Lights. It also gives us the opportunity to watch my brother-in-law and nephew compete in the Kirkwall Ba’ (Google it, there’s no sensible way to explain it!) and be treated to a Scottish New Year celebration. 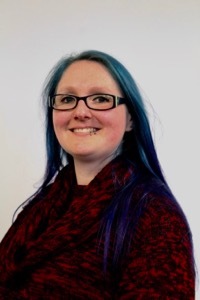 Hi I’m Becky, I joined Cope Safety Management in 2015 as part of the administration team. Alongside administration, I have many years’ experience in customer service and am happy to help with any queries you may have. My favourite car is a beat up Peugeot I had as my first car. I cannot tell one car from the next, but this one holds very fond memories for me! We got into many bumps and scrapes together over the years – the number plate now sits proudly on display at home. My most embarrassing moment was when I pulled out of a tight parking space and reversed into my partners car. My partner was sat beside me at the time – oops! My favourite animal is a dog, I grew up with Great Danes. My partner does not like dogs so we compromised and got a very curious cat named Lucretia. I plan on wearing him down so we can have a dog, but sshhhh he doesn’t know my master plan. 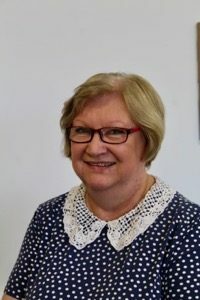 Hi I‘m Janet, I have been with Cope Safety Management since 2014 as part of the administration team. I have quite a number of years’ experience in customer service related roles which have provided me with the skills required for this varied and sometimes challenging role (the actual number of years is not for broadcast). For a hobby I enjoy When not at work I am an avid reader, three books a week is not unusual. My favourites are detective and psychological thrillers which has caused some consternation amongst my colleagues when I impart my knowledge of ‘ how to get away with murder’. My favourite holiday destination is the Far East. I have travelled quite extensively. Goa holds good memories as I lived there for a while. Work was our own bar on the beach, no hardship there! Sri Lanka is also particularly special, as it is where we married and honeymooned. 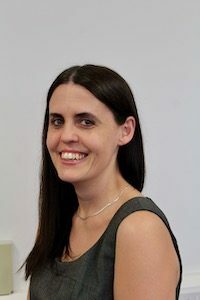 Hi I’m Julie, I joined Cope Safety Management in February 2019 as part of the administration team. Excellent customer service is important to me and I have gained a wealth of knowledge and experience working in different positions over a number of years. When not at work I love spending time with my family and friends. My favourite holiday destination is I love to travel, both in the UK and abroad and wish to one day return to beautiful Sorrento. For a hobby I enjoy watching rugby and Formula 1. I also enjoy catching up with the latest movies and have an extreme weakness for chocolate but it has to be Cadburys! When at school I wanted to be the next Debbie Harry, but fortunately spared the ears of everyone and stuck to listening to music and not singing! 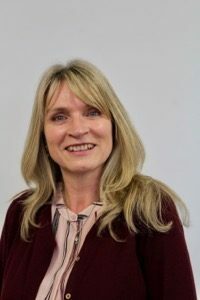 Hi, I’m Vicki, I joined Cope Safety Management in February 2019 as part of the administration team. Out of work I love spending time with my family, especially my 3 grandchildren and close friends. Like most people I enjoy going out for meals. I‘m not too keen on really spicy dishes, a curry for me is a Korma. I enjoy going to the gym, trying to keep the old muscles in decent order. My favourite animal is a gerbil. I haven’t a pet, though I did look after my daughters classroom ‘pet’ gerbil over a summer school break, many years ago. When the gerbil was returned to school, I was informed that it looked very well and had put on weight. My favourite car is any that works.Over the years I have had quite a few makes of car, some good, some that needed tender care due to being the last owner. My favourite holiday destination is the USA, especially when visiting Boston’s namesake in Massachusetts, it was very interesting when the locals asked where I was from and telling them ‘Boston’ (the original one! ), they mostly say is that near London.